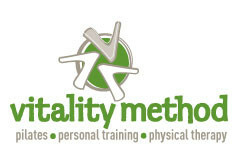 Start taking classes at Vitality Method and other studios! Experience the exhilaration of exercising and counteracting gravity! You will work at your own fitness level both on the ground and in the suspended exercises.This class will engage your entire body in every series, improving balance, reflexes, flexibility, agility, power, strength, and endurance. You will workout in a “fun”, supportive, noncompetitive, yet highly motivating environment! There are no upcoming “Aerial Fit/Flow” classes on this day. Joel is such a great instructor. He is very encouraging! Love this class. A great workout with personalized attention. Such great energy from everyone and it was a lot of fun!